Today I had to travel from Heidelberg in Germany to Maidstone in the UK via the Channel Tunnel. A day was lots of time to do this. I decided that first I would visit the Castle near the hotel, but it was raining heavily - this slowed me down. 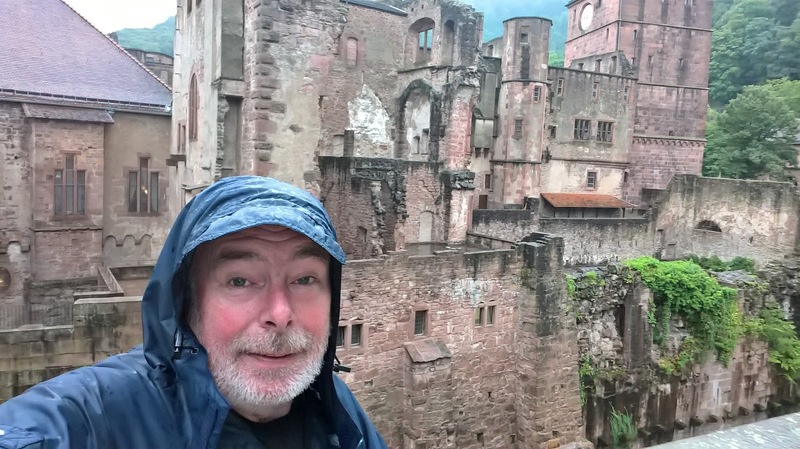 The Castle is fantastic, but hard work in the rain. 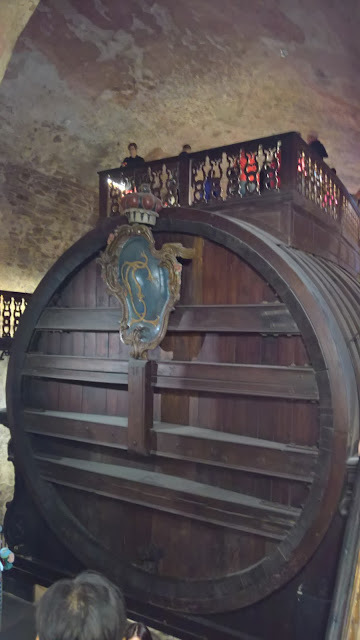 I saw the largest wine barrel ever, and some fantastic ruins - a pity that the castle was destroyed by fire and lightening. The views from the Castle over Heidelberg, especially of the old bridge, are majestic. 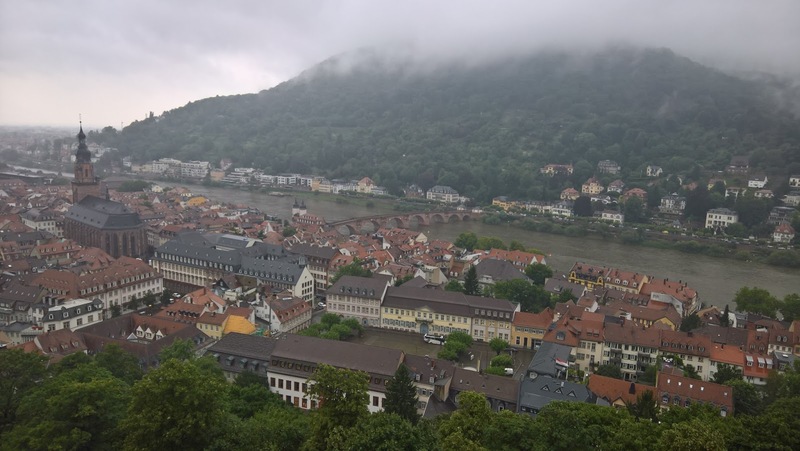 One good thing was that the rain finally stopped as I was about to leave Heidelberg. My first stop was to visit Schengen in Luxembourg - my first time ever in this country. Schengen is famous for the Agreement that allows free movement across borders in Europe. There is a wonderful display of national flames beside the Mosel river - sadly the Irish tricolour is not among them, largely because the Union Jack isn't there either. Schengen also marks the location where the borders of Germany, France, and Luxembourg come together. Just for the he'll of it I decided to travel through the Channel Tunnel to get from France to the UK - so quick! I was struck by how few bikes (4) were on the train, not many cars either. It was mostly empty.